M.C. Chambers writes science fiction and fantasy. Her first novel, Shapers’ Veil, is published by Hadley Rille Books. 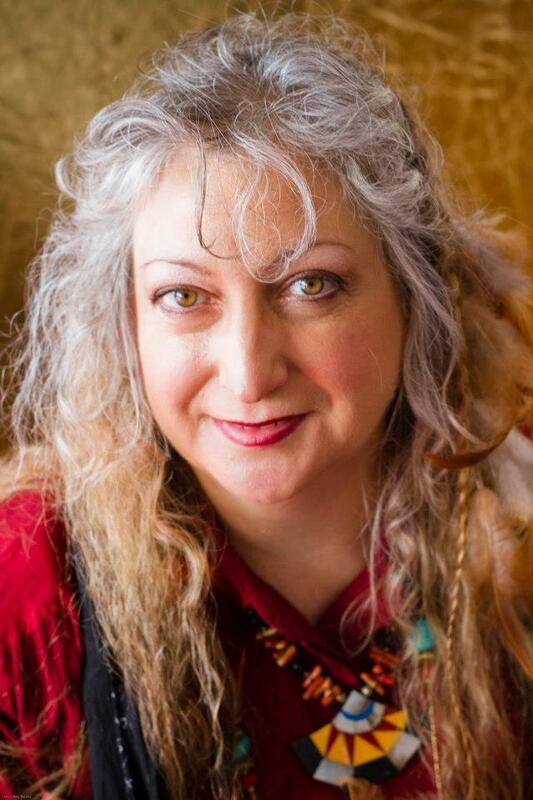 Other stories published by Hadley Rille Books include Silk and Velvet in the anthology Renaissance Festival Tales, an award-winning science fiction story, Visual Silence, in the anthology Return to Luna, and Uno por Cada in Hadley Rille Book’s anthology Ruins Excavation. She is a member of the NobleFusion writers’ group since 1998 and is a frequent participant at ConQuesT KC, the Longview Community College Literary Festival, and Inklings’ Wordstock festival. She has completed three workshops with best-selling author Dr. Clarissa Pinkola Estés on reclaiming and nurturing the creative spirit. Chambers is now working on a second novel and several shorter works. She is also a flutist, a mother of five, and a variable print programmer. Each morning, my feet pick their way over a floor strewn with bodies. Bodies of tiny warriors, beside tiny dismembered limbs, plastic guns, swords, knives and alien blasters. From the hallway, my feet cross shark-infested carpet, where pirate ships with tall sails loom with magnificent bravado. With a series of mighty leaps, my feet escape the tall ships only to become enmeshed in a maze of cables, at one end of which is a roaring amphibious monster shedding swarms of vile, slimy offspring. At the other end is my own offspring, one of five sons, doing electronic battle with fierce, relentless glee. These five sons and I fuel each other’s imaginary acts of daring. They surround me with the images, props and verbiage of great deeds. With plastic weapons and a trampoline as a battleground, they enact action scenes from my stories, helping me, a sedentary data processor, to visualize and choreograph with greater credibility. When they use and expand upon that scene in their own play, I eagerly create another, inspired by having inspired. And, they set the scene for the heroic journey I take daily. With intellectual and strategic prowess, I solve once again the maze of wires and enter at last the refuge of the kitchen. There, the final quest begins: the search for that most elusive, yet most sought-after of prizes–a cup clean enough for tea. © 2016 Proudly created by a little cream & sugar.